In posts on social media late on Saturday, the Congress took potshots on one of the tweets on the BJP's campaign going to an account titled @AmbaniKaChela. 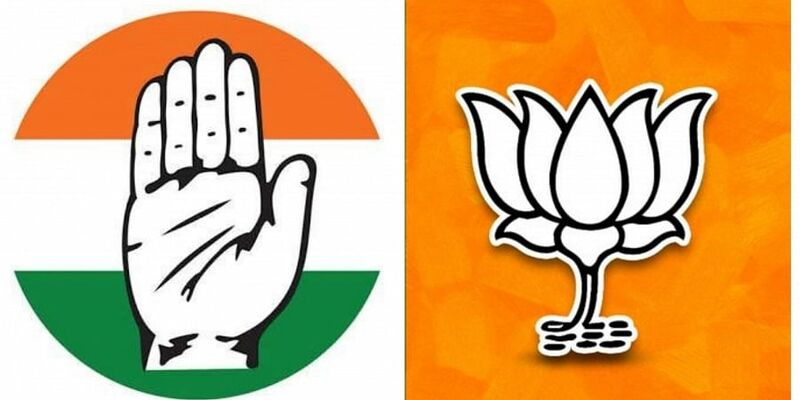 NEW DELHI: A war of words has been witnessed on Twitter between the Congress and the BJP on the 'Main Bhi Chowkidar' campaign launched by the ruling party on Saturday. In posts on social media late on Saturday, the Congress took potshots on one of the tweets on the BJP's campaign going to an account titled @AmbaniKaChela (translating to "Ambani's Stooge"), and another to a fake account of fugitive businessman Nirav Modi. The BJP even seemed to have received a response from the fake account of fugitive businessman Nirav Modi, which read as "Sir loan maaf karwao sara (please waive off all my loans)". Taking a jibe at thus, the Congress, on its Twitter handle, said,"It's great to see that Modi is still in touch with his buddies." Dishonesty, deceit, photoshopped images and fake news is your identity. For decades, your leaders have used those techniques to loot, plunder and ruin India. Responding to the BJP attack, the Congress wrote on its Twitter handle, ''Dear BJP, We're sorry your campaign backfired. We sympathise with your pain & frustration. Maybe you should make an effort to be real than rely on bots. Feel hugged. Love, From the party that fought for your freedom." The tweet had the tagline 'EkHiChowkidarChorHai'. Prime Minister Narendra Modi on Saturday unveiled a unique campaign 'Main Bhi Chowkidar' video trying to take potshots at Congress president Rahul Gandhi for his personal attack against him. "Your Chowkidar (custodian) is standing firm & serving the nation. But, I am not alone," the Prime Minister tweeted releasing the video on his Twitter handle. "Everyone who is fighting corruption, dirt, social evils is a Chowkidar. Everyone working hard for the progress of India is a Chowkidar. Today, every Indian is saying -Main Bhi Chowkidar," Mr Modi tweeted. The video has a Hindi song saying 'Woh Mujhe kya behkayenge (How can anyone mislead us as a nation). It also has a line - "Jhoot ke kapaal mein satya ka Prahar hoon (Our truth will always triumph against falsehood)". Mr Gandhi has used the line 'Chowkidar chor hae (The custodian is corrupt)' to take forward his campaign against the Prime Minister on Rafale aircraft deal with France.